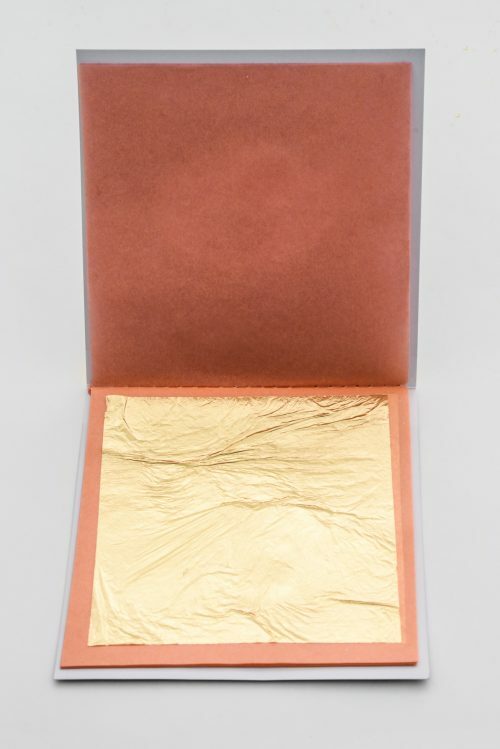 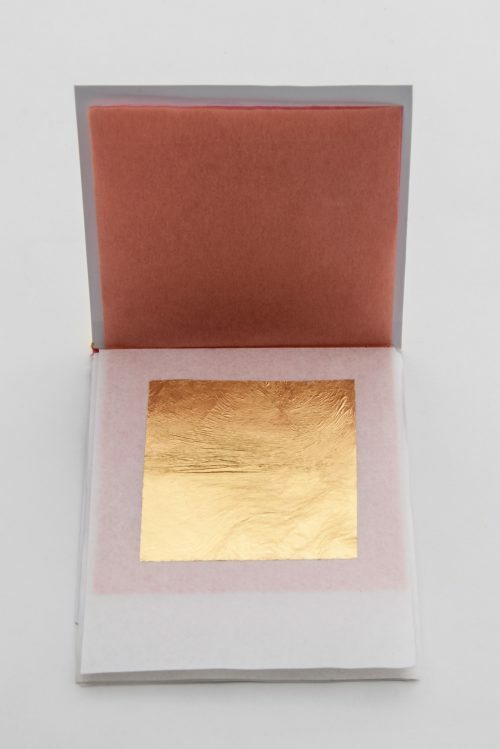 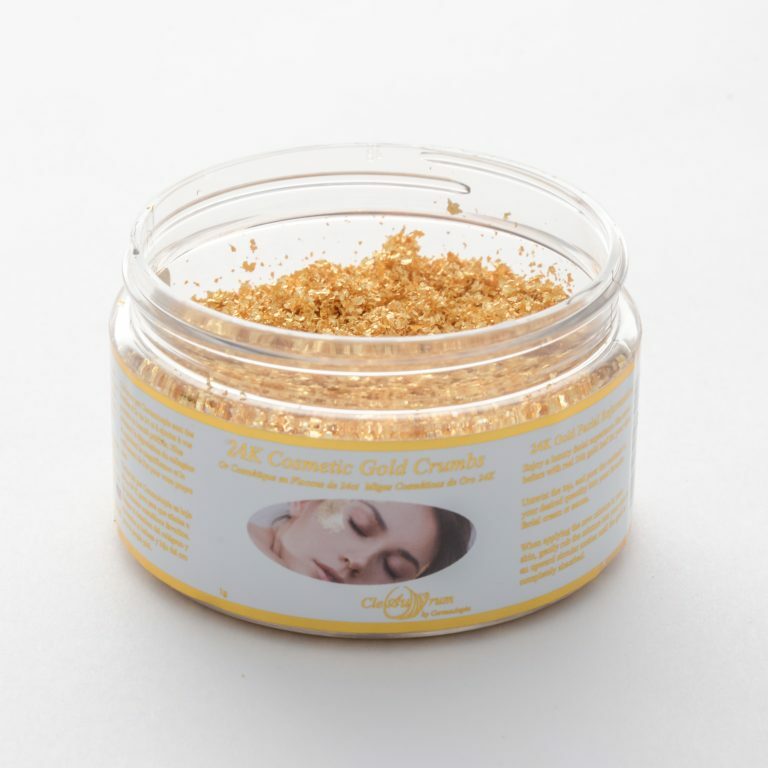 24K Cosmetic Gold Crumbs - CornucAupia Gold Leaf Manufacturing, Inc.
Timeless secrets of beauty and rejuvenation indicate that pure gold enhances the glow and youthfulness of skin. 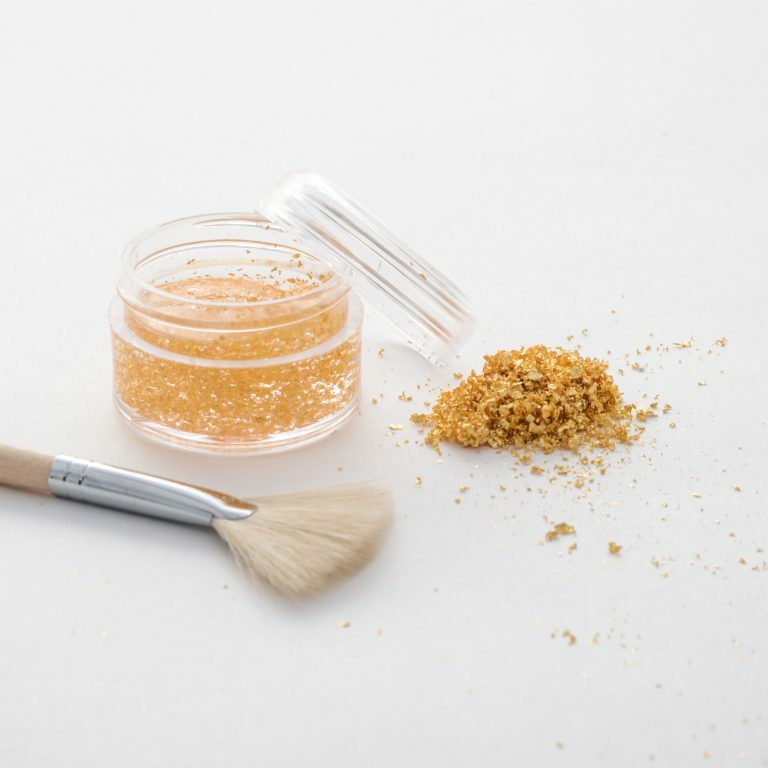 Recorded history illustrates that queens and royal figures used gold topically as part of their beautifying routine. 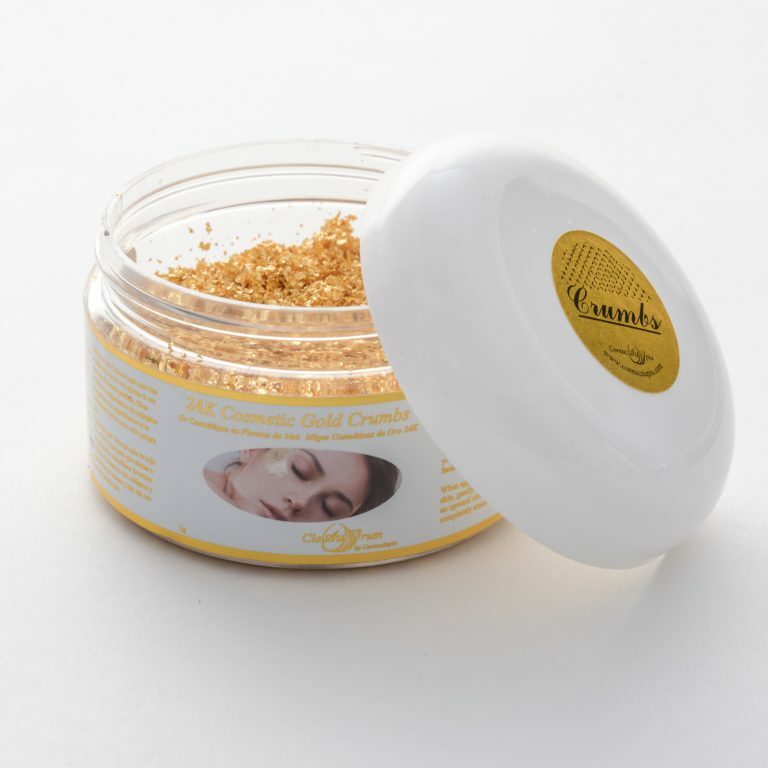 CornucAupia has created pure 24 karat cosmetic gold crumbs that mix directly into creams, moisturizers, and foundations. The cosmetic industry is discovering the powerful effects of ancient beauty practices, the pinnacle of which is pure 24 karat gold cosmetics. 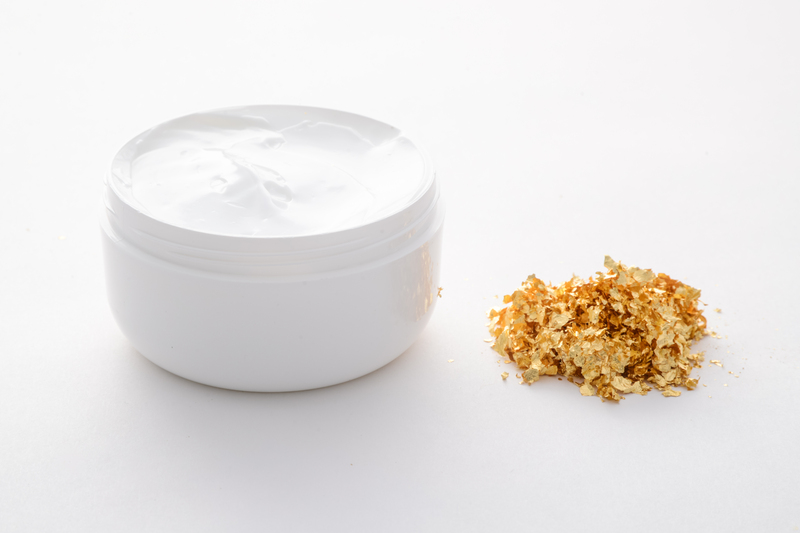 It is believed by the royal families that gold promotes the youthful regeneration and fortification of skin simply by contact to the dermis. 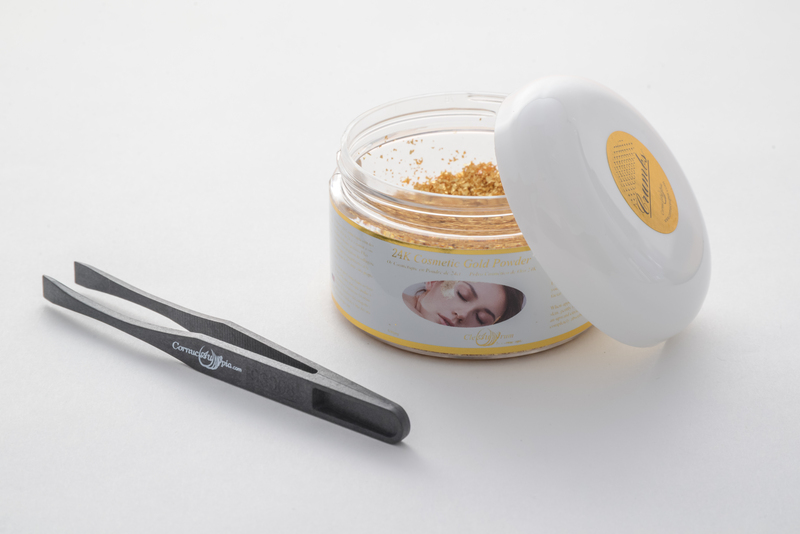 CornucAupia has created 24 karat gold cosmetic crumbs so that they can be mixed into cosmetic formulations and enhance the luxurious feel of treatment. 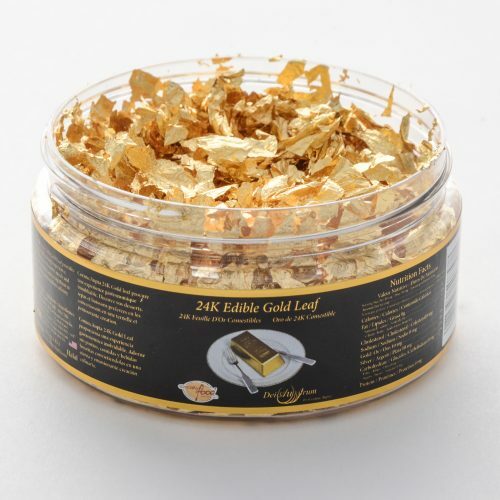 The crumbs are designed to mix seamlessly with all liquids and oils, retaining the luster of the gold.